Lucy Maud Montgomery’s Anne of Green Gables has been so enormously popular that there is literally an entire industry attached to the novel. Museums, replicas of the farm, postage stamps, tourism centers—virtually a world of merchandise, books, and other entertainment media have followed in the wake of this novel. 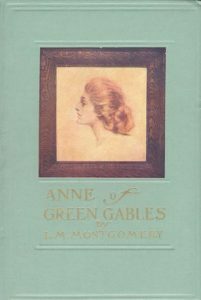 In a 2003 survey called The Big Read, a British survey ranked Anne of Green Gables number 41 of the best loved novels in England. The School Library Journal ranked the novel number nine for the best children’s novels of all time. The first film version of the novel was a silent film from 1919 adapted by Francis Marion and directed by William Desmond Taylor. The filmed starred Mary Miles Minter as Anne. This film is now considered lost. There have since been numerous film adaptations, radio plays, television mini-series, and countless other re-interpretations. An updated adaptation of the story moves Anne to contemporary Los Angeles in which she is re-named as Ana Cortez, a young Mexican American girl. The novel has been translated into 36 languages. The Prince of Prince Edward Island has built and industry out of Anne of Green Gables tourism. There now stands an actual farm house called “Green Gables.” There is also an Anne of Green Gables Museum. The novel has been enormously popular in Japan. There is a replica of Green Gables in Japan. Anne is one of the most famous characters in Canadian literature and has found her way into parodies. One example is called Anne of Green Gut.